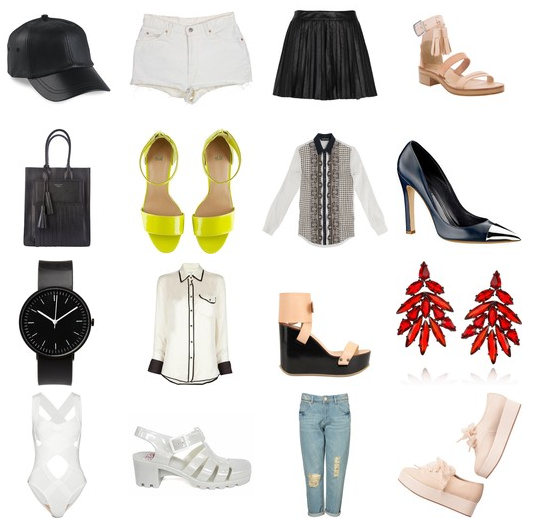 These are my current fashion favorites. As you can see right now I’m a lot into black and white, nudes and a pop of neon. I can check the torn jeans and pleated leather skirt off the list. The H&M neon sandals are on the top of my list but the black shopper with the tassels from Acne will remain an unattainable dream. I love how girly these clothes are, with just the slightest hard-rock edge.